Finally! Over 300 Summer Recipes That Allows You To Enjoy Eating Without Sacrificing Your Health & Fitness Goals! Just because it's summer time, it doesn't mean you should to put your health and fitness on the back-burner! So we've put together a collection of over 300 healthy and delicious recipes specifically for summer BBQs and get togethers. Best of all these 2 recipe guides are FREE! Every year summer starts and so do the BBQ’s, vacations and for some it even means a few more drinks than normal. And even though our job quite literally is to help our clients transform their bodies, we also believe in living a balance life. We don’t believe in extremes, so we want to show you how to have your cake and eat it to this summer! 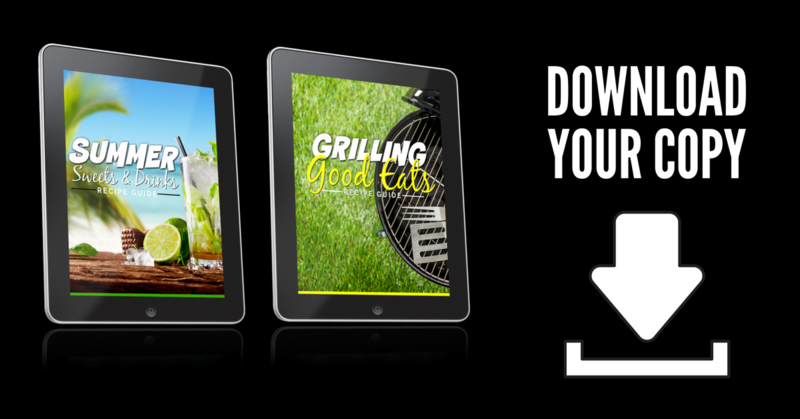 We’ve put together over 300 of our favorite recipes into 2 amazing recipe guides to help you stay on track this summer. Not only are these recipes delicious, there are also healthy too. And best of all we’re giving away free copies of them this week. Brad and Cynthia Linder are the owners of Coppell's Get You In Shape. As a former professional basketball player, Brad utilized the knowledge attained from a Master’s degree in Health, Kinesiology and Sport Studies, to optimize his performance. 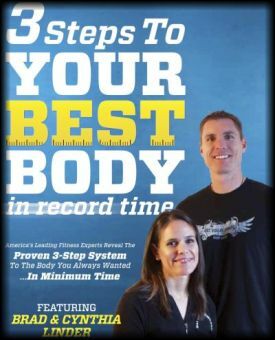 With an extensive background in fitness and nutrition, he naturally wanted to share this knowledge with others as he entered into the health and fitness field. Since 1999, Brad has been able to help thousands of participants and clients. 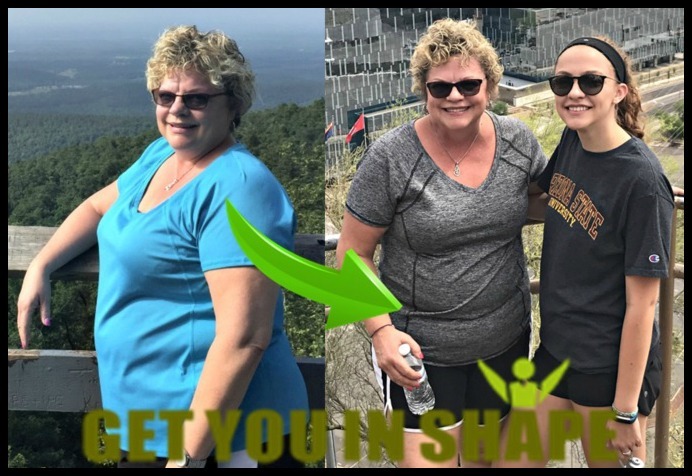 Cynthia started her own journey in 2004 when she met Brad and went from a size 10/12 to a 2/4 in 8 months. Get You In Shape has been featured in The Obama Diaries, by Laura Ingraham. Get You In Shape was also featured on The Doctor’s TV show with Jillian Micheals as being one of the Top Fitness Companies in Texas. With the hundreds of clients that Brad, Cynthia and their team of highly qualified fitness experts have coached in and around Coppell, they are firm believers that everyone can improve their quality of life by learning more about nutrition and fitness. Brad, Cynthia and their staff of fitness experts provide the most current and relevant information to their clients and implement programs that are tailor-made for each individual, whether they are young or old, men or women, beginners or advanced. All that is expected of those who work with Get You In Shape is that they have a goal to reach, and they are committed and passionate about achieving it. We Specialize in Helping Local Residents Achieve Their Health and Fitness Goals, But Don't Take our Word For It!
" 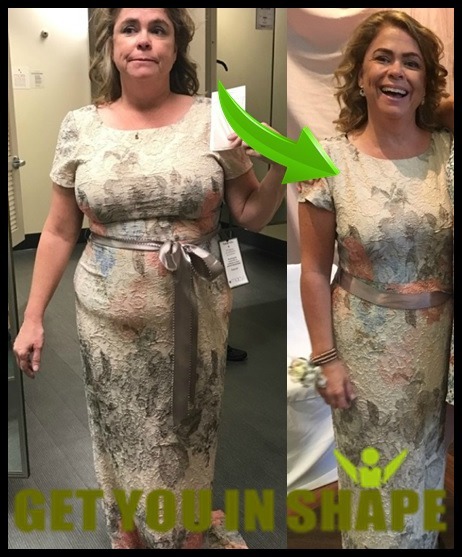 I wanted to wear a special dress for my daughter’s wedding and feel more confident in my appearance. Each month passed and I started to lose weight/inches, improve my nutrition and exercise properly. I not only FELT great in my dress for my daughters wedding but I started to feel more confident in myself and proved to myself that I can do this! I AM CAPABLE!" "My solo attempts at weight loss hadn’t worked and all I wanted was a quick fix to lose some weight fast with no effort! I was impressed with the level of professionalism of the personal trainers. They helped me so much that first week. I was so out of shape and they helped adapt the exercise to my ability level.